Some cities have harnessed economic recoveries to improve on inclusion, or the opportunity for all residents—particularly historically excluded populations—to benefit from and contribute to economic prosperity. In this report, we conduct the first empirical analysis of how economic health and inclusion interact in US cities over several decades. We report on trends in economic health and inclusion across many cities and within a smaller subset of cities that have experienced an economic recovery. 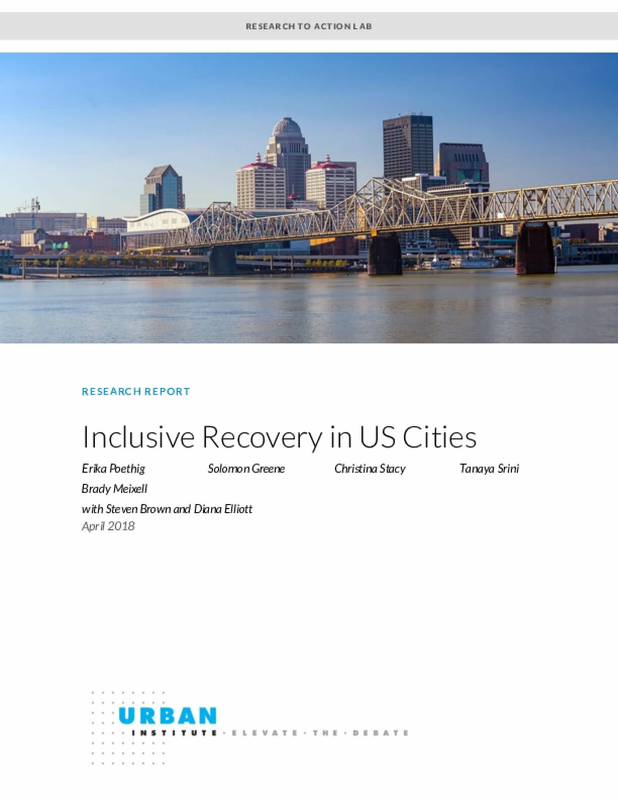 To better understand whether and how an economic recovery can support inclusive outcomes, we delve deeper into four cities that improved on inclusion measures during their recovery. Through discussions with individuals, an in-person convening, and a review of literature, we identify key lessons and common building blocks that can support progress on inclusion during a city's economic recovery. Copyright April 2018. Urban Institute. Permission is granted for reproduction of this file, with attribution to the Urban Institute.